SimplyNoRisk: Euro is strong, why? All media is attacking the euro. They have fair reasons: after the Greek elections is really clear that Greece is going to leave the euro zone, Hollande in France is supposed to soften French measures, Bankia, one of the most important banks in Spain, will be nationalized next Friday... Not bad. However, even though the EURUSD has gone down a bit, it's less than what we expected. Why? Because the market right now is so manipulated, that it doesn't follow fundamentals, technical analysis or any other occurrence. 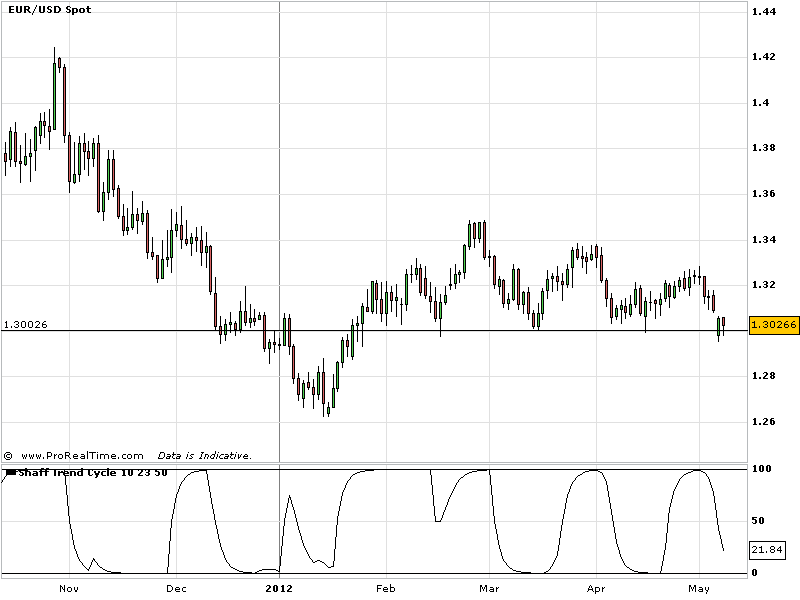 As we can see on the chart on our right, the EURUSD is fighting with its 1.3 support. It could go down a little bit, but nothing like going to close to parity. As we have said, everything is under control so far.